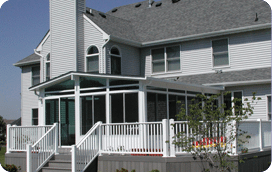 Tri-State Sunrooms is New Jersey’s (NJ) premiere sunroom company. 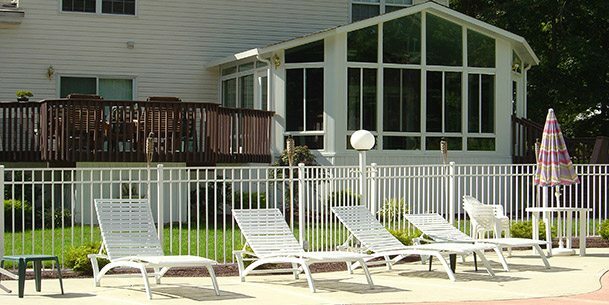 Since 1991 we have designed and installed over 8000 sunrooms in the tri-state area (New Jersey, New York, Pennsylvania). We are fully licensed (NJ LIC#: 13VH00346400) and insured in the state of NJ. 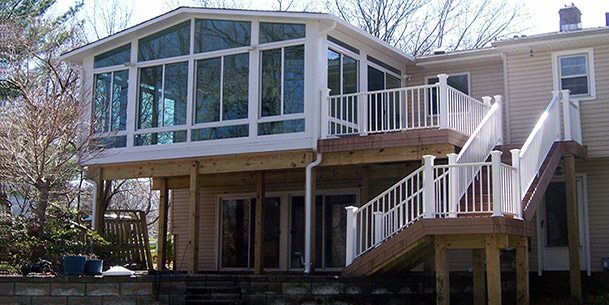 Tri-State Sunrooms will help you realize your sun room dream by designing and constructing each room to your specifications. 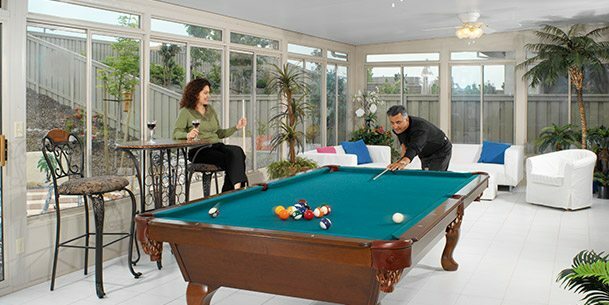 Whether you are looking to entertain, exercise or simply relax in your sunroom or patio enclosure, we have a design to compliment your home and lifestyle. 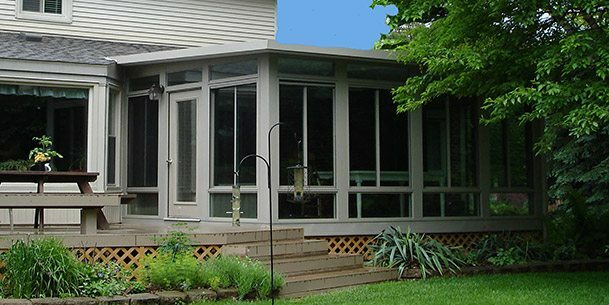 Our offerings include Four Season Sunroom and Three Season Sunrooms which are available in Studio, Gable, Cathedral styles, Conservatory and Patio Enclosure. 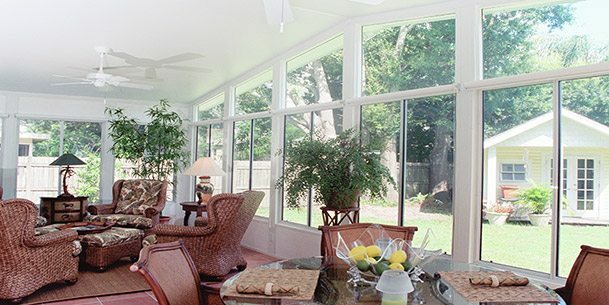 Enjoy sunroom living year-round in a versatile four season sunroom (all season). 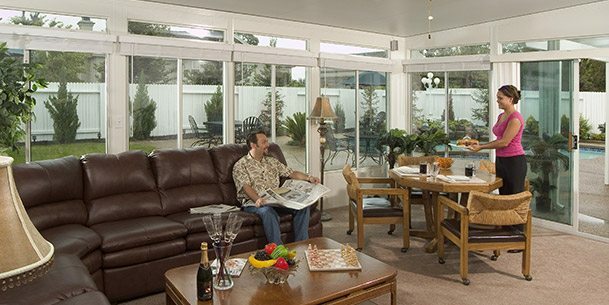 Great for enjoying from early spring through late fall, our three season sunroom is the most popular choice. Fall into the sheer elegance and timeless European beauty of Conservatory living. 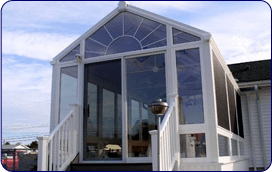 Tri-State Sunrooms takes pride in offering quality customer sunroom care to its family of New Jersey homeowners. Read More. 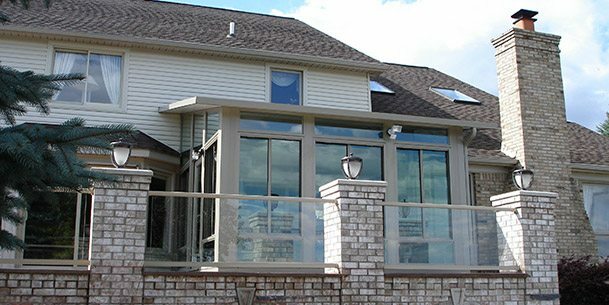 Tri-State Sunrooms features Comfort Ti-AC Series® Glass and Futura® Wall Panels exclusively available through Tri-State Sunrooms-Alligator Sunrooms. To learn more about these exclusive features, please click on the images below. 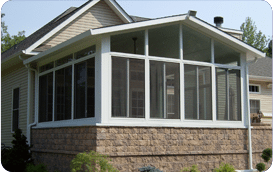 Tri-State Sunrooms is committed to providing you with quality sunrooms and conservatories to enhance your home and we pride ourselves on being a top sunroom company in New Jersey. Please read our testimonials to see the what our customers have to say about our great work. To learn more about our unmatched services or to schedule a free estimate for your property, we encourage you to call us directly at 1-800-669-9756 or fill out our short form. We look forward to working with you.